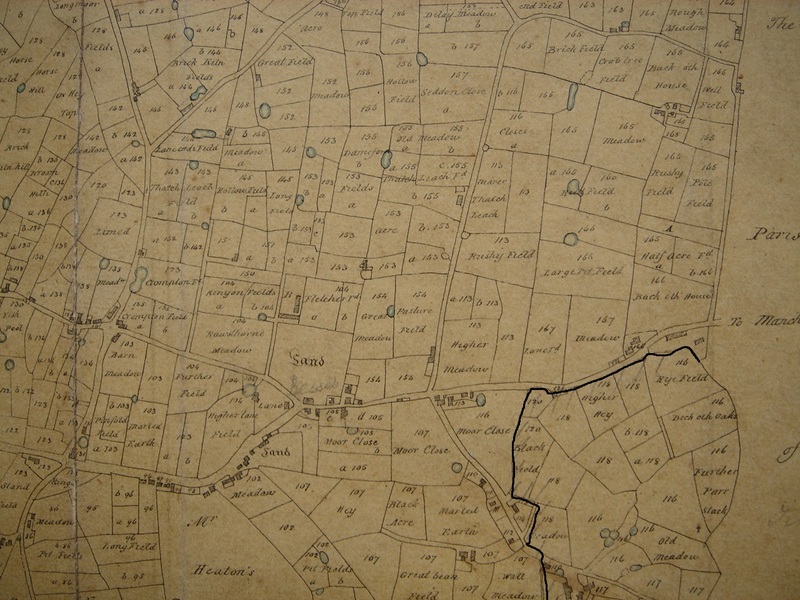 Old maps of the neighbourhood are stored here. 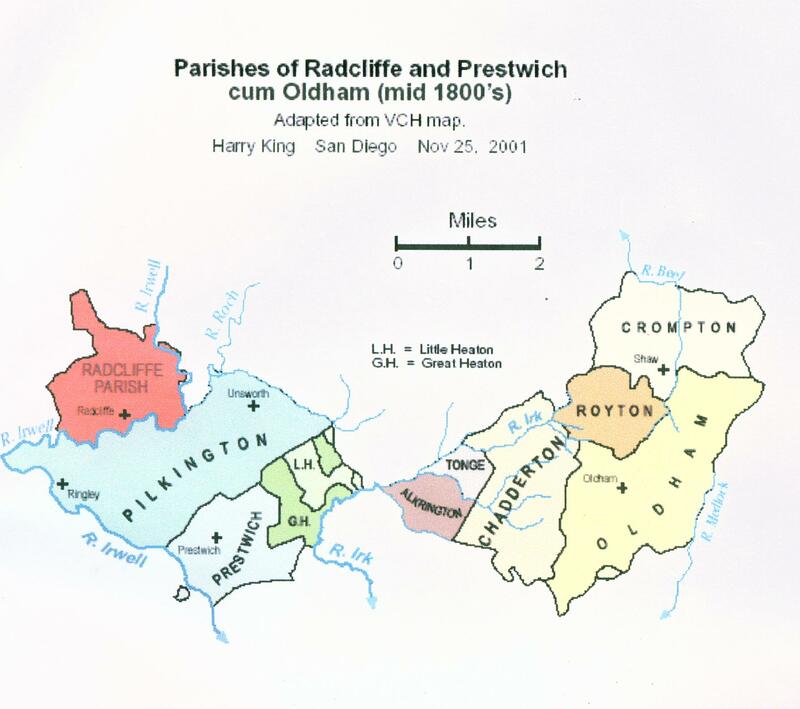 Prestwich in the 1848 O.S. Map. Click on it to enlarge. 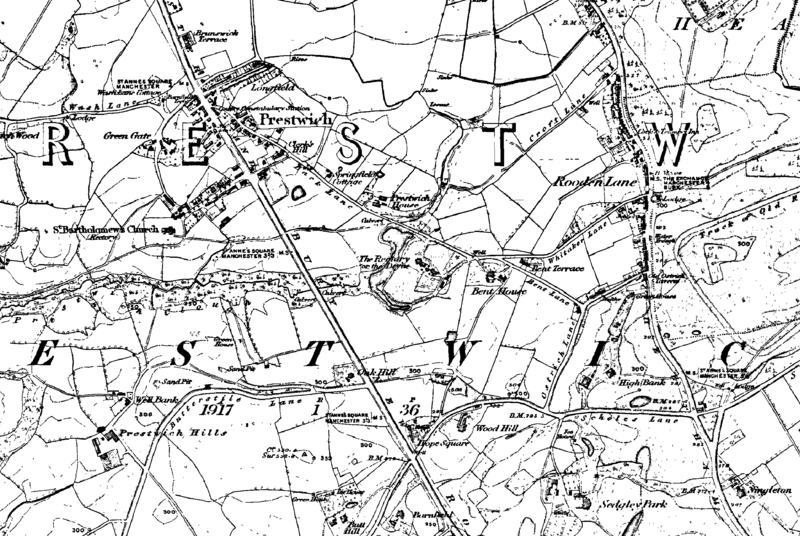 I am trying to locate Stonycroft which was an address in Whitefield at the turn of the 20th century. can you say where it was near ? 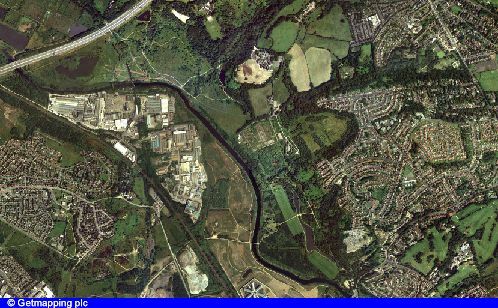 Do you have any information about the Brooklands area on Bury Old Road, next to the Woodthorpe Hotel. It is land which has never been built on, which seems strange. Someone once told me it was some sort of Religious area. 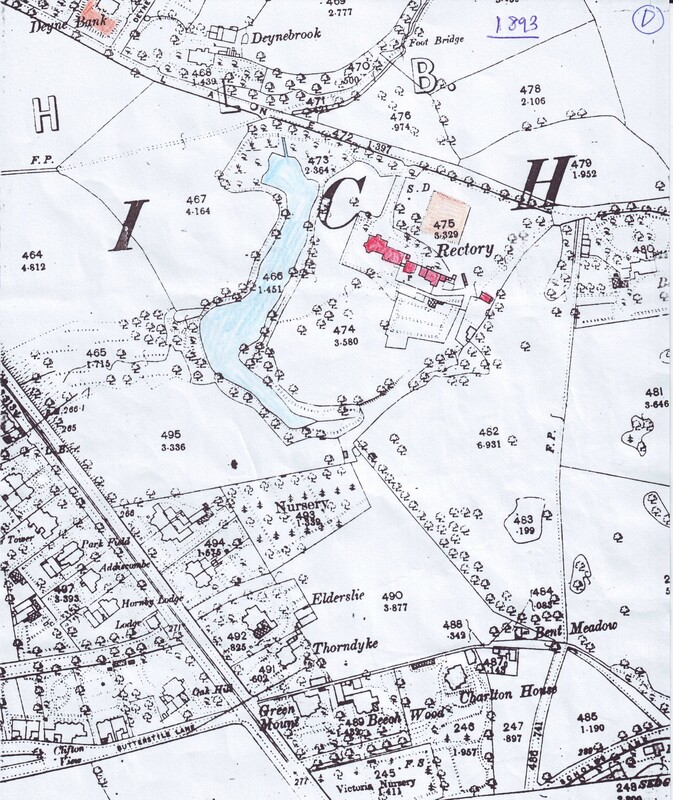 Do you have any old maps of the prefab estate in heaton park the one at the bury old rd end.i have a very poor copy of a section of SD 8202 at 1/2500 scale .Bury library have a map of part of the estate with house numbers on but half of it is missing,I am looking for the map with the house numbers on.it may seem an odd request but I used to live there. Regards Keith. 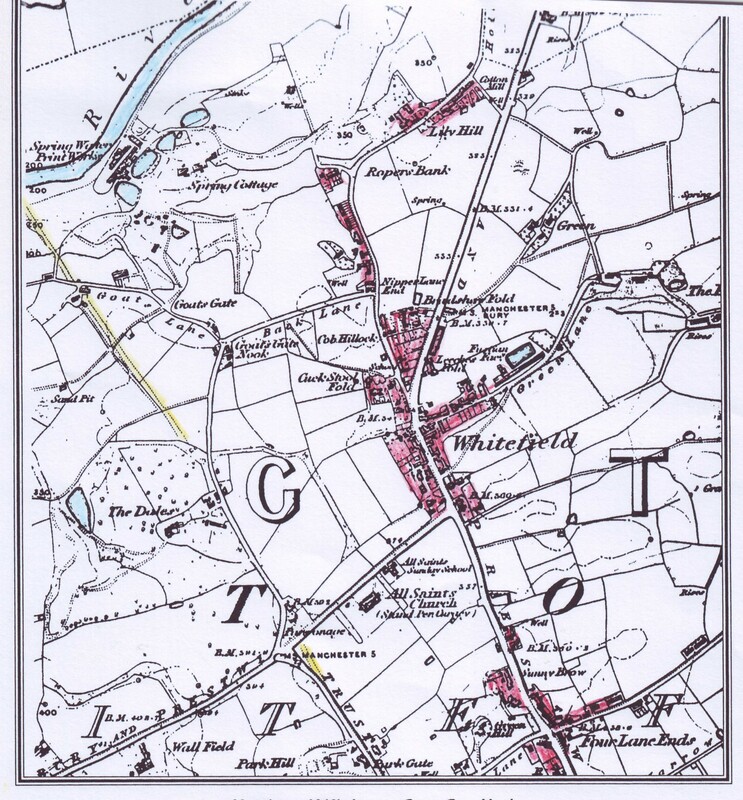 that area was owned by Holts as woodthorpe was there old house. for many years bert skinner had his dairy there and delivered milk in heaton park area. the only religious connection i know of is jewish further down the road. Hi, I’m looking for a mansion called Woodlands, some 3 miles north of Manchester. 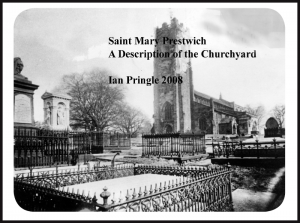 In 1851 it belonged to Mr. Henry M. P. (probably Henry Edwards, 1st Baronet). I reckon it was somewhere around Woodlands Road now. Or is that too south for you? Hi Carol, It’s probably a bit late, but I’m interested in those details please. 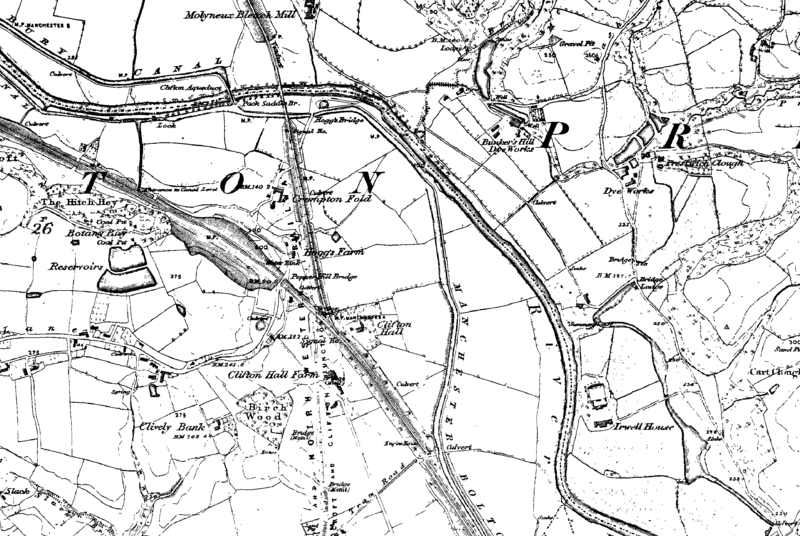 I’m looking for any information on somewhere called “The Clough” which I think was on Stand Lane – the Heywood family were recorded as living there in 1881. 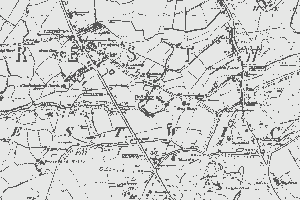 I am looking for any maps or photos of Bombards Farm which was located off Sunnybank Road. 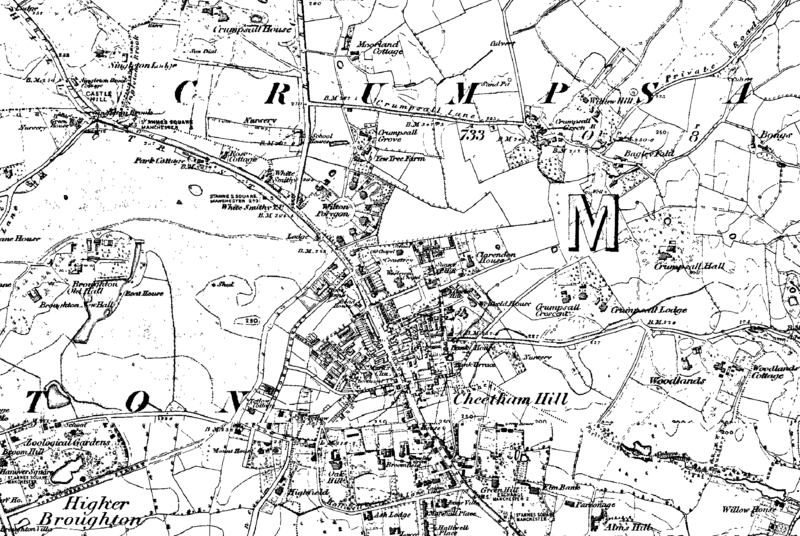 Ramsbottom row was behind & at right angles to the Church inn on Church Lane.